As an entrepreneur, making the most out of events is something you’ll need to do, but small business networking doesn’t always come easily. Very few people are networking naturals. This is especially true if you tend to be a bit of an introvert. Many people struggle with having to walk up and break the ice with someone they’ve never met in person. But the good news is that there’s plenty of things you can do before, during and after an event to help you make the most of every networking opportunity, regardless of your personality type. So how can you get the most from networking events to expand your business connections and grow as a person? Here’s a bunch of tips that we pulled together from the 7 Day Startup Community that will help get you networking like a champ at your next event. It’s been well documented that first impressions are crucial when forming an opinion of someone. You’ll never get a second chance to make a good first impression. Without resorting to reciting lines parrot fashion, feel comfortable talking about yourself and what you do. Before the event visualise yourself interacting with others and describing what you’re about. Practise in the mirror or with someone you know. Have a few icebreakers and opening lines up your sleeve – humour is always good. 7 Day Startup open Facebook group member Mark Stipic recommends having a ‘concise position statement’ for handling the inevitable “what do you do?” question. He describes this as; “outlining the benefits you give to your clients, defining who your ideal clients are and describing a relateable scenario.” Michael Port goes into this concept in more depth in his book Book Yourself Solid. Also consider the way that you ask someone else about themselves. Saying something like “what are you passionate about?” or “what are you into” might get a more interesting response than “what do you do?”, delivering you a much more memorable first impression. And give some thought to your personal appearance and dress appropriately in accordance with the type of event you are attending. Prior to attending the event set yourself a minimum target of how many people you will interact with. This is a big one if you’re on the shy side and struggle with starting up new conversations. This target may depend on the type of event and the volume of attendees, so setting this figure as a percentage may work best. Turning people into numbers does feel a bit weird but as an introvert I know having a goal helps and would probably make me more likely to talk to more people. As your confidence grows look to increase the minimum amount of people you talk to the more events you attend. The more you do it the better you’ll get and the more your networking web will expand. And aim to limit each interaction and don’t spend the whole event talking to the one person. This can feel a bit weird but at the end of the day it’s probably not helping either of you if you don’t get around to chat to others. If you can avoid waffling on about irrelevant stuff you’ll be well on your way to smashing your interaction target. Learn to control and know when to exit the conversation. This can be reading the other person’s body language cues (eg. are they getting bored or distracted?) to recognize when it’s time for you to move on to the next person. This can also be about recognizing when you’re stuck with someone who won’t shut up or who’s only interested in big noting themselves. Have an exit line strategy prepared beforehand and follow the art of assertive communication. Remember, you only have a limited time to connect, so spend as little time as possible with time wasters. Identify those who you would like to network with and do some prior research on their personal and professional achievements. Many events will have a Facebook group, Slack group, twitter hashtag or even a dedicated mobile app. So check these out beforehand to find out who’s going, and jot down a few notes about people who you would particularly like to connect with. Having this information upfront will help you ask the right questions when you’re networking with them in the room. Complementing them on their work and weaving in talk about their hobbies and interests works really well. It makes you look professional and engaging and let’s face it, everyone likes it when someone else displays a genuine interest in who they are and what they’re about. Don’t get too nitty-gritty detailed though or they might mistake you for a stalker! Knowing a bit about the people you’ll be interacting with before you meet them helps reduce any initial awkwardness and builds rapport and trust. It’s one of the best ice-breakers out there. Of course it doesn’t mean you shouldn’t be open to meeting other people. Doing your research on who’s going can also be an opportunity to break the ice with others online before you meet them in person. In his article How To Network and Get the Most Out of Every Conference, Wilson Peng recommends creating a list and cold emailing people you’d like to connect with before the event. Once you’ve pinpointed your priority A contacts, send them a personalised message and put the feelers out to connect with them in person either prior to, during or after the event. If you get a reply you’ll already have your foot in the door and be one step ahead when you actually meet in person. It’ll make that initial face to face introduction a bit easier too. I like this idea but I’d also caution about getting too stalker-like with this tactic. I’ve got messages on Facebook and Snapchat minutes before events and it can get a little bit awkward. 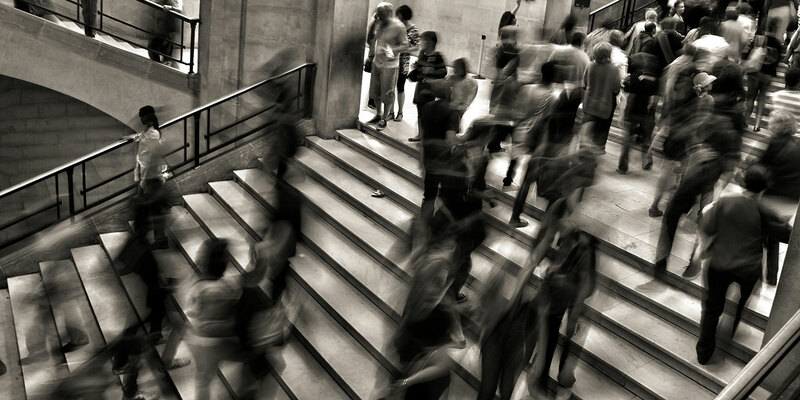 For those with social anxiety or who struggle with larger crowds, simply showing up to the event a little earlier than the advertised start time may allow you to interact one on one with other early attendees in a less hectic environment. It’s a great way to get your confidence up and sets you up nicely for reaching your minimum interaction target. Getting there early may also give you the chance to mingle with the event organisers. You may pick up some useful tips about the event and who’s coming and provides another networking avenue to tap into. On the flipside, I personally get more anxious if I’m there early and would always prefer to know that when I get there people are already there and chatting. Work out what works for you and do that. If you are more nervous early then arrive a bit later but if you prefer smaller crowds then plan to get there early. Further to showing up early, actually putting your hand up to help with organising or running the event is another way to gain maximum traction from your networking experience. Volunteering your time or services is a great foot in the door for increasing your profile and goes hand in hand with a ‘giving’ mentality, which l discuss in greater detail further below. I really like this idea, I always get very nervous attending events but not as nervous if I’m working at one or speaking at one. For me, it just reduces the voice in my head that worries that everyone is looking at me wondering why I’m there. If I have a purpose to be there I feel a lot more relaxed. It’s weird but for me, speaking at events is a lot less stressful than attending events. Build rapport with others before going in for the kill and throwing business cards at people. A mutual presence at the event means you’ve got something in common straight up, so be yourself and take a genuine interest in the person in front of you and the networking side of things will flow. Adrian Li of the 7 Day Startup open Facebook group breaks networking down to “just making friends”. You’ll be more likely to gain a meaningful follow-up from someone who likes and trusts you. Sticking a card in someone’s face and adding them to your social media platforms and then moving on may get you contact volume, but won’t deliver a quality connection. Be a conduit for creating meaningful connections by finding opportunities to help people. Introduce them to someone who can help them, give them advice, content or materials without asking for anything in return – chances are you’ll get it anyway on account of your approach! Great relationships are built upon trust, and using this approach is a great way of doing this. It pays to be prepared when it comes to swapping contact details with other attendees as you busily network around the room. So make sure that you have quick access to your preferred social media apps on your phone (Facebook, Twitter, Snapchat, Instagram and LinkedIn at the very least) to connect quickly and easily with others. I’d also start to see if you can get any idea of what social media platforms the person likes. It’s pretty obvious when someone is on Snapchat for example, they will be snapchatting the event! It’s easy to ask what their handle is and follow them right then and there. There’s a good chance they will follow you back. You can weave it into the conversation too, ask them what social media apps they like. And don’t be the person who comes up with a stupid excuse for why you aren’t on a certain network (“I’m too old for Snapchat”, “I can’t take good photos so I’m not on Instagram”, “LinkedIn is a waste of time”). It’s only going to distance a person who had made a strong effort on the platform already and makes you look like you aren’t someone who can figure stuff out. Heres a tip if you don’t understand Snapchat. Pick up your phone, install Snapchat and start using it. Then read a few articles on Snapchat or get your friend to show you. If you can’t figure out something that is used by 150 million people what does that say about you? Business cards..to have or not to have? Whether to hand out business cards is a bit of a hot topic in 2016. I think they can be useful, although for a younger social media focussed demographic they may not be as important. I’d suggest having them, as there’s still plenty of people out there that will want one from you. But a word of caution, don’t fall into the trap of becoming, in the words of Micah Horner, a ‘business card dispensing robot’, shoving your glossy trophy in someone’s face at the end of a long-winded sales spiel. I’d suggest keeping them up your sleeve (or in your pocket!) and only using them selectively, with the right person, to add value to your interaction. A business card tip from 7 Day Startup open Facebook group member Karen Francis: take pictures of the business cards you collect and upload them immediately to a Google Drive folder, or better still to Evernote or Agile CRM, which scans in the text and allows you to search by name. This is far easier to manage than walking around with your wallet or purse stuffed full of cards and inevitably losing half of them. When networking there are a few simple communication strategies you can use to make a connection when chatting with others. Make the person you are talking with the centre of your attention. Smile, nod, maintain eye contact, avoid distractions, actively listen, ask questions. These all demonstrate that you’re genuinely interested in what they have to say and will help you to make a memorable impression. When applying this concept try to ask open-ended questions as often as possible. Questions that only bring about a ‘yes’ or ‘no’ response will kill the conversation pretty quickly. Asking genuine, intelligent questions and truly listening to what the other person has to say will go a long way to establishing a meaningful connection. Looking for body language cues in others can also be a useful strategy. Is someone is obviously distracted when you’re chatting your connection won’t be meaningful, and this should be your cue to politely end the conversation and move on. But don’t necessarily take it personally, they may just be hungry or need to use the facilities! As they say, timing is everything. Sergey Sobolev of the 7 Day Startup open Facebook group makes an interesting point about using body language cues to help you join into an existing conversation. If you would like to join into a group circle, look at the position of the group’s feet. If they are not pointing to the centre of the circle then according to body language experts this is an ‘open’ group who will be more receptive to your approach. Politely ask to join the conversation rather than standing there waiting, you’ll come across as more natural and assertive. Get a friend to introduce you..or not! For many people it can be awkward or intimidating when having to approach someone and strike up a conversation out of the blue. So look for any opportunities to have a friend or colleague introduce you to someone they know who you’d like to meet. There is however an equally valid flip-side to this approach, which is to challenge yourself to walk up and speak with someone who you may feel apprehensive about approaching. Chances are you’ll need to bite the bullet and do it anyway at some stage, regardless of how many introductions from friends you can call upon. Or if you’re feeling really brave, ditch your friends totally and go it alone. Throwing yourself in at the deep end can be a great character builder. And if you’re feeling anxious, remember that a lot of other people in the room will be feeling the same way too, even if they’re not showing it. And as they say, the more you do it, the easier it gets. To make the most of your networking interactions, everyone in the room should be considered as equals, united to your left and to your right by common circumstance. Don’t fall into the trap of idolizing the speakers or the people who you think are particularly important. You will probably get more value from other attendees and you are missing a big opportunity if you are constantly “looking up” and ignoring those around you. Unless you have a photographic memory you’re going to need some help with remembering important details while you network. This is something I do all the time because I have a really bad record of remembering people’s names and it causes me a lot of anxiety. So if you hear something enlightening or forge a great connection with someone take note of the details there and then. What I do at events is after I meet people I make a few notes in Evernote. It makes me more relaxed to know I have a few notes about a person for our next encounter. This is particularly useful for a multi-day event, it just helps you learn names and details early on and reduces the stress. If you’re at a larger scale networking event there may be a number of guest speakers and talks across the event. In Wilson Peng’s article he also discusses picking your mark when it comes to attending events with multiple guest speakers. Maximise your time by knowing upfront which guest speakers you’ll get the most benefit from. Don’t feel guilty about passing on talks that won’t add value for you. Usually speakers are happy to hang around after talks and chat with the audience. If you feel you might have something in common with the speaker, go to their talk and hang around for a chat. I know I personally love it when people come up and talk after I speak at events. So you’ve spent a few quality hours connecting and building an impressive list of new contacts. Congratulations, but your work is not yet done. Identifying who you wish to stay in contact with and following up with them is perhaps the most important step in the whole networking exercise. So what’s the best way to go about it? Demonstrating an interest in the other person and the specifics of your interaction can go a long way to forging an ongoing connection. As can generosity, so look for opportunities to give them something relevant to your conversation, such as a book, or even just a link to an article that you discussed. For those you build a particularly good rapport with, you might look to meet informally for a coffee as a way to connect and network further. Look to set up a basic sales funnel for some follow-ups. Using generic follow-ups such as an “I got your details at the XYZ Conference” email template is ok for those contacts you interacted with on a more superficial level. But for your ‘a-list’ contacts try to personalise your follow-up rather than sending them a generic, auto-generated message. Also make sure you are still reviewing and sending the emails or messages manually yourself. Meeting someone is not permission to put them on an email list and it’s a major trust killer if you do it without permission. Make sure your communication is genuine and doesn’t look like you are just trying to build a list. Consider your positioning strategy when in the room. Hanging out in places where people need to congregate, such as the registration or food areas, can provide good opportunities for initiating conversations. If you see someone struggling to fit in or looking a bit awkward, try to go out of your way to have a chat and help put them at ease. You’ll both feel good and it’s another person you can add to your interaction tally. I always try to do this at events because I know what it’s like to be that person and usually they aren’t afraid of talking they are just afraid of approaching. So there’s my top tips for getting the most out of your networking interactions. As always I’m keen to find out your thoughts, or if there are any other networking tips that have worked well for you. While we’re on the subject of networking, I’m running an epic event on the Gold Coast in 2017 called Starters and Makers. Check this out for exclusive early bird tickets. It’s going to be heaps of fun, hope you can make it! p.s. The 7 Day Startup community is a free Facebook group fast approaching 7,000 members. Click here for free access. Can’t wait to see you there! p.p.s. 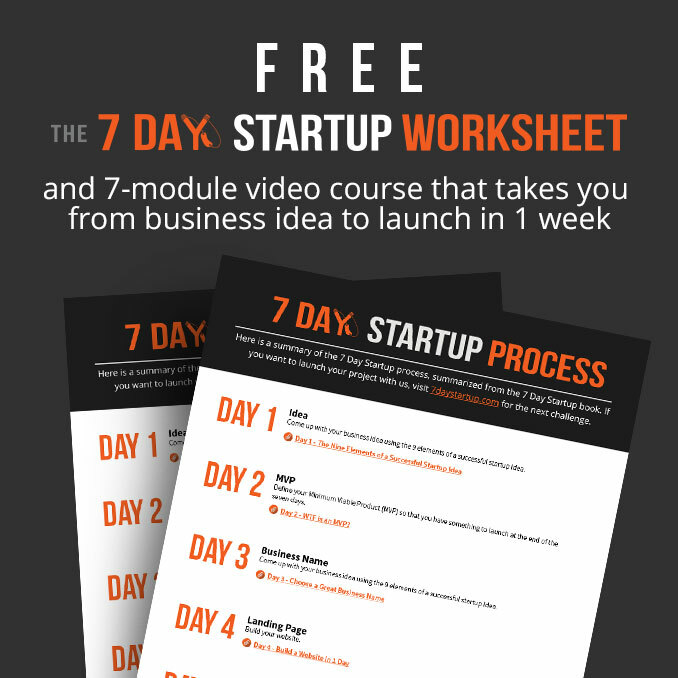 I have my free 7 Day Startup Challenge coming up on 12 July, check it out here. I actually learned how to disengage, not because I was going on and on (though I can), but because I needed to move on. Also, instead of offering a business card, ask for one. Then it is obvious that if they gave you theirs, you should give yours in return. Then slide into your, I should mingle some more routine. Thanks for the mention! Great article, as always!